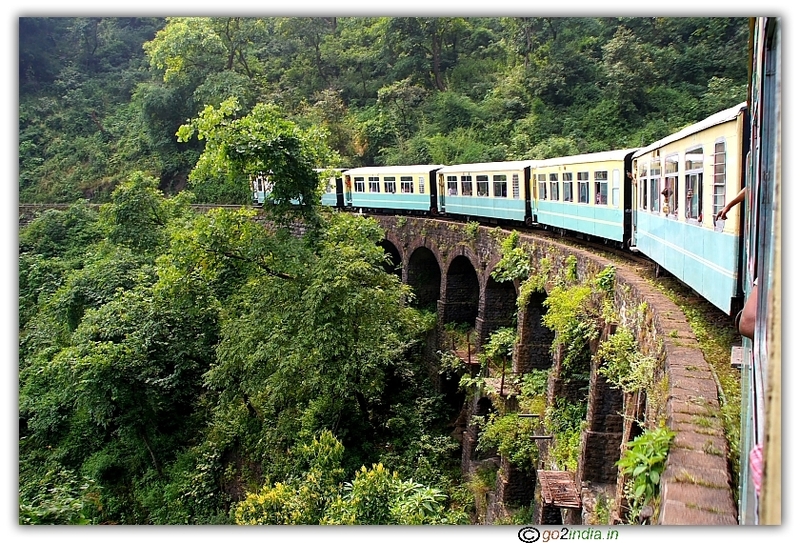 The best way to reach Shimla is to travel by Toy train from Kalka. The railway track is small in width between Kalka and Shimla and is known as meter gauge track opened by British Government in the year 1903. 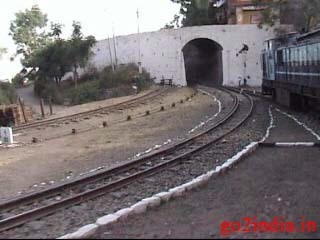 The distance of 96 KM between Shimla and Kalka passes through 102 tunnels and 87 bridges. There are more than 20 stations in this railway system which still uses the old Neales Token Instrument system for track interlocking. 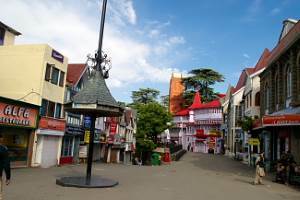 It connects Kalka at a height of 656 meter to Shimla at 2076 meter from mean sea level. There are around 900 curves and sharpest curve is of 48 degree. The five hour journey is one of the best train journeys for tourist operated by Indian railway. For updated train time and schedule visit the Indian railway site. On July 2nd 2008 UNESCO�s world heritage committee has decided to add Kalka�Shimla Railway to world heritage list & in a function at Kalka on 9th Nov 2008 this railway line was officially declared by UNESCO as world heritage site. Each train can take 210 passengers and in a day around 1000 passengers mostly tourists use this train to visit Shimla. The ticket in the trains varies from Rs 19 to Rs 280-/ . There are deluxe , honeymoon , chair car , rail car compartments in the train. The train route passes through beautiful valley and hills and most of the time moves in upword direction (climbing) throughout its journey ending at Shimla the capital of Himachal Pradesh. Most of the time during the journey from Kalka to Shimla the valley falls in right side of the train. The best train in this line is Shivalik Deluxe Express which starts in the early morning from Kalka. 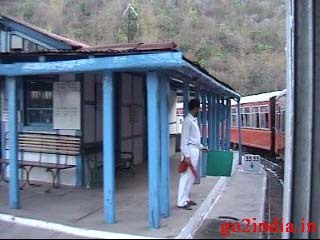 You can reach Kalka in the morning by traveling in different trains if you don't want to stay for a night at Kalka. Shivalik express is connecting train for the Howrah ( Kolkata ) to Kalka Mail ( Train No : 12311 ) which reaches Kalka station at 04.45 AM. This train passes through Delhi ( old Delhi ) railway station, so this is the convenient train to reach Kalka from Delhi to catch Shivalik express. This train starts from Old Delhi station ( Code : DLI ) for Kalka at 21.25 hours. We reached Kalka at 4.45 AM and Shivalk exp departure time was 5.20 AM. But check the timing from (www.indianrail.gov )Indian Railway before planning your journey. At Kalka as both the platforms were side by side (broad gauge and meter gauge) we could board Shivalik Exp without any difficulty. The coaches are equipped with reversible cushioned chairs, foldable table for serving food, wall-to-wall carpeting and wide glass windows. Windows can be opened. Toilet is there in each compartment. The train starts climbing the hill within five minutes of starting the journey. With a speed of not more than 25 Km / hour the train will take you to Shimla the summer capital of erstwhile British India. Shivalik express does not have any official stops between the journey, only it stopped at BAROG where food packets were loaded to the train. All attendants loaded the food packs based on the number of passengers traveling in the compartment. If required you can book extra breakfast before the Barog station on payment. The attendant will take a note before loading the food packs if you are a vegetarian. The breakfast is complementary in the upward journey ( to Shimla ) and dinner is included in your ticket in downward ( to Kalka ) journey. It was a memorable experience to have my breakfast on the train while passing through tunnels and bridges. BAROG was the name of a British engineer who was in charge of digging the longest tunnel in this rail network. He started his work from both ends of the hill and unfortunately the two ends didn't align and never met. British government fined Rs 1 to him for wasting govt money. He was under depression and committed suicide. On your way you can see SOLAN BREWERY and many other small passenger stops. Shivalik exp took nearly 5 hours for us but other trains take more than 6 hours to cover the distance of 96 Kms. During our journey most of the rivers were dry or left with little water as this part of the State gets water through rain. Bridge number 493 is a beautiful Arch Gallery Bridge, this bridge is of 32 meter length and 16.4 meter height. After passing through tunnels, rivers and valleys we finally reached Shimla which is the last stop for this train and end of the rail track. Booking for this train is to be done in much advance during summer seasons particularly in April � May � June months. Similarly there will be a rush during Dasara holidays. Dasara function usually falls in the month of October. 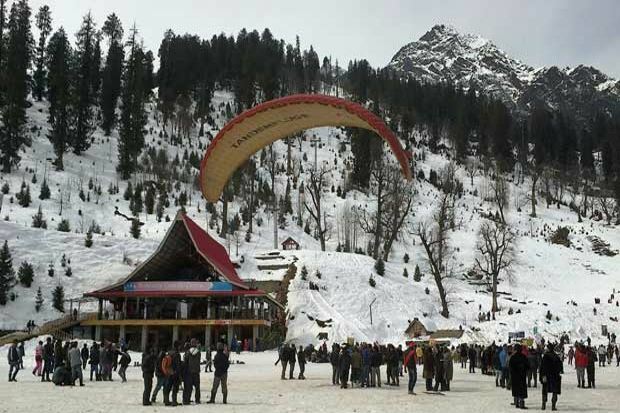 From last week of December to First week of January many tourist from Delhi, Chandigarh and nearby places visit Shimla to celebrate new year. During these times book your tickets much in advance. 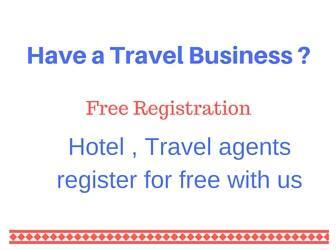 Booking can be done from irctc.co.in website. For Shivalik Express tickets can be booked 120 days before and for other trains it is one month. For example booking will open on Aug 21st 10 AM for Himalayan Queen for the date of Journey of 20th Sep. Recently ( 2nd week of Nov 2018) see-through Vistadome coach with glass ceiling was introduced. Passengers can enjoy the landscape through the glass ceiling. Rail Motor is a single compartment train, it has transparent roof top. This is like a bus running on a rail track. Limited number of sitting arrangements available in this and this one runs in tourist seasons only. This does not have a toilet facility. Booking for this is available one month before only. This train is there, ensure that you select CC ( chair car ) in class drop down list. Total train is CC ( chair car ) only. I don’t think they will add extra coaches as the hill train length is to be maintained and the engines have fixed capacity to pull. During this holiday season it is difficult to say any thing. You can try but if you don’t get train then you can travel by road and watching the train from road is another excitement. By continuing in road you can maintain your onward travel plans. But nothing can match the enjoyment of Shivalik Express. Dec to Jan is the busy season for Shimla. Tourist visit this place for X-mas and new year. So better to book in advance. During this period rush is more compared to Summer time here. I am much interested to enjoy this beutiful journey by Shivalik express.I would try to celeberate Ist new year with my wife after marriage. i want to book ticket for 2 couple from kalka to shimla in which train i should go i want luxury toy train please mail me. Morning Shivalik Express is the best for you. This delux train is for tourist. There is no upper or lower berth in these trains. You have to select proper type of seat while booking. Keep changing the type of seat and see how the train list changes. I have booked a ticket for 3 persons in kalka-simla express. I am having waiting 3 4 5. what about if my waiting is not clear on the date of journey? Will we be allowed to do journey in train? It is like any other train, you have to take conformed tickets only. There are other trains and during some peak seasons there may be an extra train. 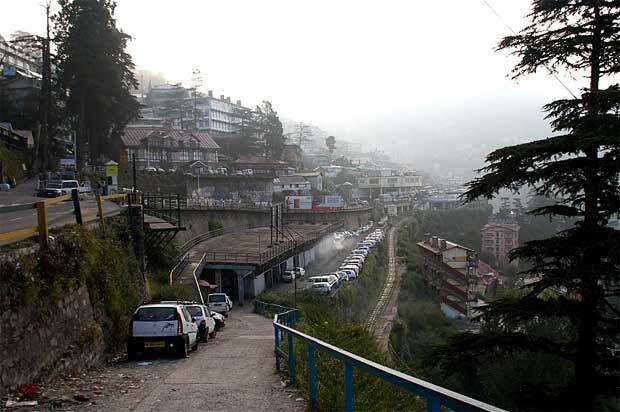 Any time the road option is always there to reach Shimla from Kalka (even if you missed the train ) and to continue with your onward tour plan. hey its kishan . we are going to himachal pradesh this winter. and planning to go simla by Shivalik Express from kalka... hope to be a memorable journey for our life.. I think it will be a lifetime achievment. Hi.. I am from Kolkata and I am planning to visit Shimla in Feb 2009. I would like to know whether Shivalik express really is a connecting train from kalka to shimla? that means if for some reason (since its winter season) kalka mail is dealyed by 5 to 6 hrs, Shivalik express will wait for the kalka mail to arrive? 2. select SRC as "KLK" and DST as "SML" , Class as "CC"
Reena, Yes Shivalik express will wait for Kalka Mail to arrive no mater how late it is. 95 % of Shivalik's passengers are those who arrives in Kalka. b. Source is Kalka "KLK" and Destination is Simla "SML", Select class as Chain Car "CC"
d. Make Payments online to IRCTC. 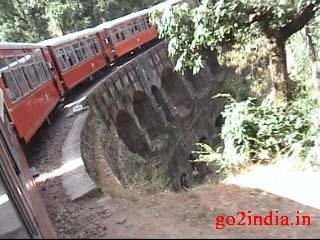 We are planing to Simla in Feb-2009 from Rajkot-Delhi-kalka to simla. we want to know about train available in thise root. I am reaching kalka from Delhi at around 4.30 am. Now I am taking the 6.00 am train to be on a safer side. but I guess this is not the special train as the Shivalik exp. which leaves at 5.30... so what do you say? Both trains are comparable in the quality or shivalik is special and will shivalik wait for the train which is coming from Delhi to arrive? 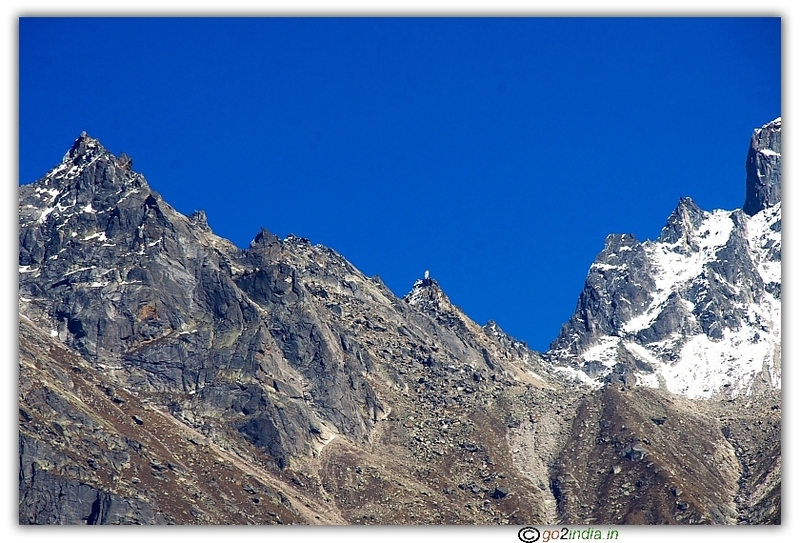 I have planned to visit Manali in march 2009, how can I reach there with train ? or Which route is better for me? please suggest and how we book that ? Please let me know what is the fare detals in Toy Train from Kalka to Shimla. I want to know how many days before the reservation counter open for SHIVALIK EXP. I am traveling to Shimla from Kalka but unable to book ticket on Shivalik Exp even when I book 80 days in advance. Why is it so?? I want to book ticket from Kalka to Shimla of dated 10.4.2009 for 10 persons and I want to know how many days before the reservation counter open for SHIVALIK EXP. cost of ticket per head from chandigarh to shimla. how to reach kalka from ambala cantt. is their any train which is connected between ambala cntt and kalka station.and what are the timings of the toy train from kalka to simla. Railway staff at ticket counter and in office at Kalka Railway Station is really rud to passenger so be careful while dealing with them. This June I am going to Shimla from Delhi. I will be arriving at Kalka at 11.45 a.m. I have booked my ticket in Himalayan queen upto Shimla. I wonder in case the Kalka Satabdi gets late shall I still be able to catch Himalayan queen? Let me know that whwther Shivalik Express is a connecting train with howrah klaka mail or not ??? Do I need to book hotels in shimla and manali in advance during 1st wk of July. Also like to know whether on spot bus ticket bookings for moving from shimla to manali and manali to delhi can be made or not??? 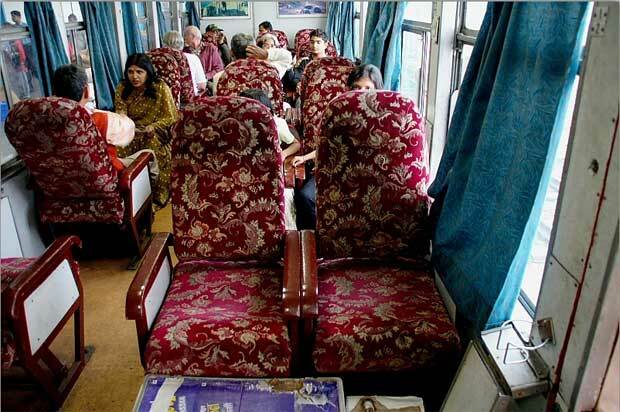 I want to know about Himalayan Queen, AC Chair Car facilities. I rode this train in 1985. It was very nice. It took 5 hours and only cost 25 cents (US). Will anyone tell me how should I book the Kalka -Shimla express train no.1KS (KLK SML DEP time: 4.00 ARRI. time: 9.15 FC - First Class)? Please tell me about the charges of booking per person. Will anyone tell me how should I book on 14th August 2009 the Kalka -Shimla express train no.1KS (KLK SML DEP time: 4.00 ARRI. time: 9.15 FC - First Class)? Please tell me about the charges of booking per person. Hi Indira, Take a train from Chennai to New Delhi. You\'ll get Garib Rath, Grand Trunk , Tamil Nadu Express. All these train reaches in the morning. You can then spend the whole day in Delhi nd take a train to Kalka OR you can take Pashim Express at 11 in the morning to Kalka. The connecting Toy train, Shivalik Express , is at 5:30 in the morning. So, if you reach by PAshim, you will have to take a night stay or take a vehicle and reach Shimla. But I would suggest you to take Toy train as it will give you a nice experience and you wont be having acclimitization problem of reaching great height in short time.....Route: Chennai-New Delhi-Kalka-Shimla. iwant to know tha time table of kalka to shimla train,and want to the best train and online booking. can u plzz tell me that is there any cubicals or coach for only two people in any of the trains which r running b/w kalka and shimla........and wat are there fares also....???? I have booked my ticket for Shivalik exp on 22.10.09 and it was waitlisted 26/27.Any chance of its getting confirmed? Somewhere in your article you have mentioned that there are different classes of comaprtments like Honeymoon compartment. How is it different from other compartments and whats the procedure to reserve seats in there.? ?can u plzz tell me that is there any cubicals or coach for only two people in any of the trains which r running b/w kalka and shimla........and wat are there fares also....???? i m going to marry this month and want to go aome honeymoon trip with her. nice places near to shimla. pls tell any nice honeymoon trip offer with price. Other than CC, is there any possibility to get some facility like deluxe , honeymoon in this train no 241? If not could you please suggest some other train where I can get this facility? I will be greatful if you could provide me the details for the time schedule for those trains and the ticket fairs. pls tell any nice honeymoon trip offer with price.and train timings/routs. We students from Andhra pradesh, around 35 planning to visit simla in jan.. The doubt i have in Shivlik express, are passengers allowed to stand near the doors? 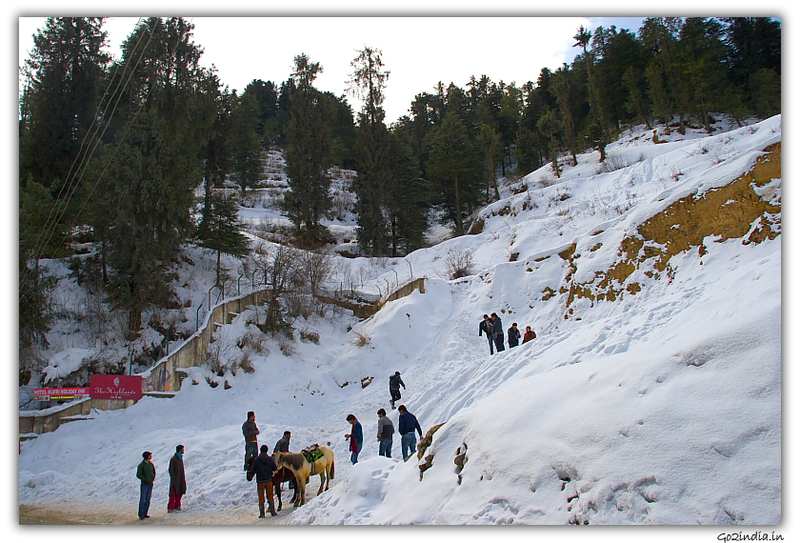 A very good site to know more about kalka to shimla route. 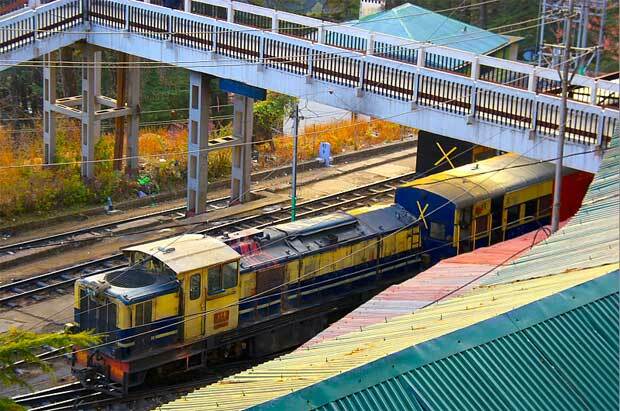 A quick guide to get insight on kalka-shimla & other routes. Thankyou so much. Delhi kalka mail and shivalik DLX exp are integtated train or not. I AM COMING BY HOWRAH KALKA MAIL WHICH WOULD REACH KALKA ON 04 FEB 10 AT 0445 HRS. I DO HAVE A BOOKING ON SHIVALIK EXP, FROM KALKA TO SHIMLA, ON THE SAME DAY WHICH STARTS AT 0530 HRS. KINDLY CONFIRM IF BY ANY MEANS IF THE KALKA MAIL GETS LATE THAN IS THERE ANY PROVISION WHICH COULD MAKE THE TOY TRAIN TO WAIT FOR THE RESERVED PASSENGERS OR IT WILL START AS PER THE SCHEDULED TIMING. we are coming to shimla form manali for only the Toy Train experience. we hv planned to start in manali on feb 8nd night in a taxi. Reach shimla by around 6 or 7 or may be 8AM on Feb9th. Take Himalayan Queen which starts at around 10:30AM. We reach kalka by 4:10 PM. We booked a ticket for Shatabdhi which start at 5:45PM to Delhi. So my question is whether it is fine to go for Shatabdhi/? Are their any chances for Himalayan queen toy train be late? In that case we will miss Shatabdhi heading to Delhi. I just wanted to know if there is a option to book tickets in tatkal for trains from kalka to simla as i am planning to go to simla in the month end and there are no seats available. My Grandfather worked on the Kalka Shimla narrow guage railway sometime in the period between 1908 and 1915. Is there any possibility of tracing his employement record please? I am planning to travel by Toy Train in the first week of June from Simla to Kalka, how can i book advance ticket. Hi, I am Satthi from Malaysia. I decided to take train to Shimla from Kalka at 5.30am. First, I need to travel from New Delhi to Kalka. May I have the train shedule and what time is the best time to take train fom Delhi to Kalka because I don\'t want to miss another train at Kalka at 5.30am. hello i am amita i am going to marry in few months i would like to know the route from surat to shimla.I would also like to know which is the best time to visit shimla and what is the average price of hotel in shimla. you can book ticket in this train only 30 days in advance as i discovered just now as against the normal 90 days advance booking norm. 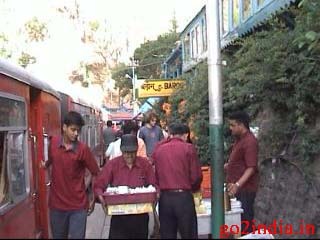 I\'m from Bangladesh, want to travel from Kalka to Simla by Toy Train in the middle (Date-16,17 or 18)of June, 2010. How can i book advance ticket ? I\'ll start my journey from Kalkata,which Train can be easy to reach at Kalka? I want to travel Kalkata-Kalka-Shimla-Kulo-Manali-Dilhi-Kalkata within 10 days, is it possible ? Please provide me a guideline. Hi, I wish to board the 5.30 am shivalik train.I am from chandigarh. Do we have any connecting train / bus route from chandigarh to kalka to be there for shivalik train by 5 am? 2> If we book the tckts in advance - do we get the seat numbers reserved? Hi every buddy! 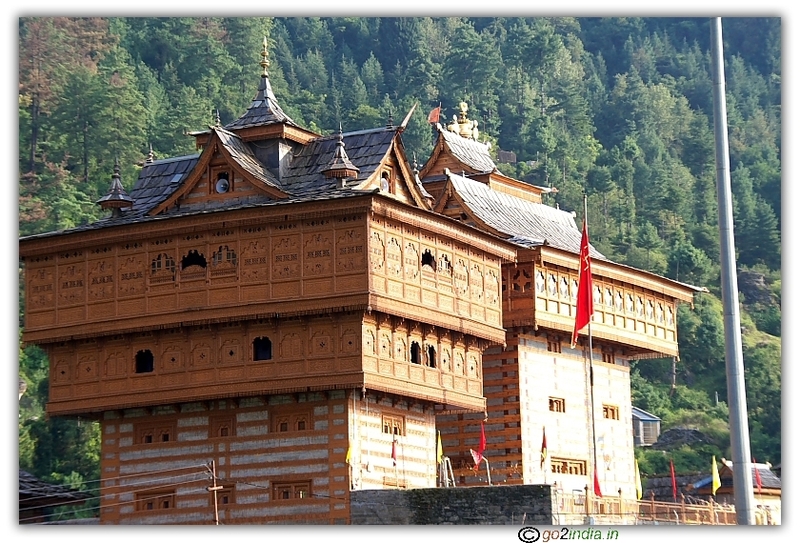 what is the convenient way to go to manali from simla? Make the booking earliest.you'll get the confirmed seat.I booked the train from Shimla to Kalka from irctc. It worth pleasant and enjoyment to visit Shimla by toy train from Kalka Railway Station run by Northern Railway. Its amazing. One can enjoy the tunnels numbering 103 and the biggest one before the Barog Railway Station. Nice and comfortable train journey. 1)Somewhere in your article you have mentioned that there are different classes of comaprtments like deluxe , honeymoon , chair car , rail car compartments. How is it different from other compartments and whats the procedure to reserve seats in there.? ?can u plzz tell me that is there any cubicals or coach for only two people in any of the trains which r running b/w kalka and shimla........and wat are there fares also....???? in irctc website their is no option to book the ticket in these different categories. can you please tell me how many days before the bookings open for Shivalik train. is it 3 months? Lets say If I need to book for Nov. 29th, when can I do the bookings? Are there different classes in the train like deluxe , honeymoon , chair car as mentioned in the article here. I am a Central Govt. officer & willing to go to Shimla on 19 Dec 2010 from 19 Dec 2010. The station code does not available at irctc website. It is not possible for me to book tieckets at irctc website. 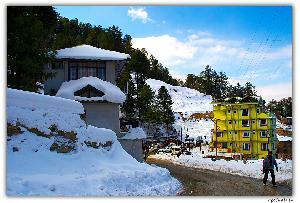 It is requested confirm that, tickets from kalka to shimla of 19 Dec 2010 can be book online. If affirmative the procedure to book the tickets be intimated so that we can enjoy the holidays at shimla. I am arun from gurgaon. we are going to shimla on 22. Dec.10. and will stay 3-4 days. Is there any hope to witness snowing during these days. I have already himalayan queen tickets booked both ways. how is experience of this train. good cussion type seats. very very comfertable. SIR I HAVE A TICKET OF SHIBALIK EXPRESS 241 RESERVATION.AFTER THAT I WANT TO GET A TATKAL TICKET .IF IT AVAILABLE FOR SHIBALIK? Hope some one can help me here. I logged in to www.irctc.co.in and searched trains between kalka and shimla, i did not find any trains, I searched with various combinations like Shimla, simla etc.. still i did not get any station name as Shimla. Where Can i book the tickets? This is Manoj from delhi, i am doing plan for shimla in 25th dec , so just i want to take idea about toy train or other train kalka to shimla,,like exact Dep. timmimg, fare and which train has good facility and best point.. I would like to book tickets for Shivalik Queen in Feburary 2011 for my honeymoon to Shimla. I tried contacting the number on the site 91-171-2645500 but no luck. Could you please let me know how to book the tickets? Also, what are the timing of Shivalik Queen? Could any body assit me in getting inform for train from newdelhi to Simla & simla to Mata Vaishno Devitemple. Hi, I'm planning to visit Shimla for a honeymoon trip in the mid of the may probably. Can I book the tickets of Shivalik Expess right now? You have mentioned about a honeymoon class. What's that? I can see that there is only chair car in that carriage. Can you please give me some informations on touring in Shimla like how can I plan my trip and the likes? I would like to book tickets for Shivalik Queen in 1st march 2011 for my honeymoon in Shimla. I tried contacting the number on the site 91-171-2645500 but no luck. Could you please let me know how to book the tickets? Also, what are the timing of Shivalik Queen? You can book Shivalik queen at Kalka railway station(station Master office). And it has to be booked 1-2 days in prior. Contact DRM office in Ambala and take contact number of Station Master, Kalka. Wow, this information was just superb to have a complete summery of answers to doubts between the 2 locations.... Well appreciated... Dont kno the name of who has written however. is 1AC not available in shivalik exp.? Hi. My plan is to come shimla on 29th May 2011 arrive at Delhi by 12.40 Afternoon & I wish to travel by toy train from Delhi to shimla. Will you pls. give me the details from where I will get the toy train (station name) timing of train, fare details & time to reach shimla. According to that I will booked my further plan. In addition also suggest me budgeted hotel in shimla. Is there any way i can book connecting from New Delhi - Shimla - New Delhi on 14.05.2011 -17.05.2011 without waiting much in between as I will be travelling with family and kids? Please guide me. I have booked my ticket for Shivalik exp on 18.04.2011 and it was waitlisted 26/27.Any chance of its getting confirmed? I have booked my tickets for Shivalik express on19.05.2011 and it was waitlisted 20,21,22,23. Any chance of getting confirmed? If I will not get the confirmation, they allowed us into the train or not? kalka barmer exp is connecting with shivalik exp ? if kalka got late then how we can reach shimla. whether Shivalik express wait for Kalka experess if late on the same day. Can anyone tell me Shivalik Exp will wait for Howra-Delh-Kalka mail if it's late? Hi. I am planning for the travel in this train for honeymoon. Is there any special compartment for the same? If i book fc first class for two i will get personal cabin or 2-3 people will be beseated with husband wife. nothing new is happening as its d 21st century and now u need a change but still v thanx the himachal tourism as well as indian railways for providing such a beautiful travelling in a heritage property. I have planned to visit Shimla during Dashera festival. Shivalik express is one of the best train from Kalka to Shimla. Booking is not accepting by IRCTC as yet. What can be done to book a ticket since time is very short? hi, i wanna travel from kalka to shimla and return by shivalik express on 19th september please guide me hw to book tickets for 3 person, kindly do fast since irctc.co.in is not accepting the station name in plan my travel column. I want to go to simla in the month of March. Will I get Shivalik express that time. Hi, We are planning to visit shimla from mum. Accrodingly we booked the Ticket well in advance. now i want to know which hotel will be the best one to stay. journey timing will be 26/12/2011 to 29/12/2011 and my budget around 1500 to 2000 per day. we are myself,wife and our 9 year son. Apparently, in order to book a ticket from Kalka to Shimla through www.irctc.co.in I need to provide an Indian mobile number which I do not have as I do not live in India. Does anybody know how to handle it? I (an foreinger) am also facing the problem as Larissa mentioned. Tell how to fix it, pls. Same problem with larissa and Deepee.I'm abroad now and not able to book a ticket via IRCTC or CLEARTRIP. Will it be full before I get to India? Hi. I am planning to visit shimla. On my return i have booked the shivalik express from Shimla that reaches Kalka at 10.25 pm. Thereafter i have a connecting train at 11.55 pm i.e Howrah-Kalka mail. So is there any possibility that the Shivalik express reaches late and i miss my howrah-kalka mail at 11.55 pm. ? Please suggest. I would be going by Jan end hence there would be snow. Does that affect on shivalik express and its timimg. Hey! I am searching for the train kalka to shimla but i want luxury train ? I see many people are worried about missing the Kalka Mail/Shivalik Express because of one or the other arriving late. Don't worry; it so happens that the two trains are supposed to be counterparts, i.e. one will not depart until the other arrives. hi.. i m at mumbai & iwant to visit to shimla& manali,kulu etc..so pls guide me to reach there by train frm mumbai in detail information of train time,journey period,fare,staying hotels &return journey also.. I wish to travel from Kalka to shimla by Shivalik Dlx express on 17th July'2012. How can I Book tickets online? Pls let me know is there any train having cubical or close compartment for 2 persons (honeymonn couple) betwee kalka and shimla. Pls also suggest which train and class is best for honeymoon couple. I want to travel from Shimla to Kalka in late August/early September but am not sure of the exact date. Do tickets have to be booked in advance for this time and if so how quickly do they sell out? i need 30-35 toy train ticket on 07/09/2012. Is it true that u will have to buy tickets for shivalik deluxe express only from delhi.i mean u cannot but from any other part of india????????? Plz reply as soon as possible!!!!! My tckt is on 14-05-2013 by Kalka- Simla Express (6:00 AM) in FC and WL-19 & 20. Will it be confirmed? HI, I have booked my ticket in Kalka Simla express on 14th Oct,13( on the day of Dussehera),which starts at 6 Am and the waiting list is 18,19 and 20 in the 2S compartment and 19,20 ,21 in first class is it will be confirmed ? I will be traveling from kalka to shimla I just wanted to know that should I go by Ac or 1st class. I see the Shivalik delayed everyday by 3-4 hours everyday, probably because of Kalka Mail thats late too. Is this the normal scenario ? Do other passengers have to wait for 3-4 hours, or is there any other arrangements made by Indian Railways ? i am also want to going to Shimla for enjoying the summer holidays but not able to booked the ticket online kindly tell me how much days before ticket bookings are available. kindly confirm holiday train before start. I have booked two ticked in Shivalik Express. One in C1 and another C2 car. Will attendant be able to align the seats in same chair car? If kalka mail arrived late at kakla , then shivalik express departure at same time or wait for Kalkamail ? what is the train fare to shimla from kalaka in shivalik?